Darlene Underwood brings over 25 years of extensive experience in Executive Coaching and Organizational Management, as well as Human Resources and Business Development to FACET. In addition to serving as FACET’s COO, Darlene directs the Executive Coaching activity nationwide, adhering to the guidelines and requirements of the International Coaching Federation (ICF). Darlene has directed hundreds of corporate organizational restructurings and downsizings providing hands-on responsibility for the successful transition of employees and restructuring of the client company. Prior to joining FACET, Darlene’s professional experience includes nine years as COO of a National Retail Management firm, nine years as Executive Vice President of Client Services with an International Human Resources Consulting firm and two years as Director of Human Resources and Senior Consultant for a National Energy company. Darlene attended Our Lady of the Lake University Houston, Texas Campus majoring in Business Administration / Human Resources Management. 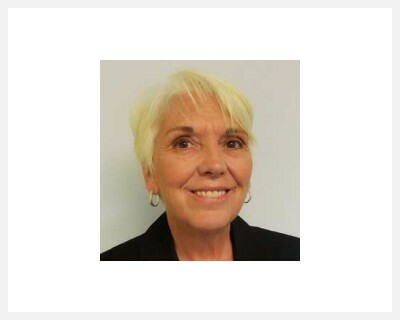 She has completed numerous continuing educational programs including the Professional in Residence Program (PIR) with the Betty Ford Clinic and Risk Management, Workplace Safety and Loss Control with The Hartford Company. Darlene is a member of the Society of Human Resources Management (SHRM), HR Houston, and the American Business Women’s Association (ABWA). She is affiliated with the International Association of Career Consulting Firms (IACCF) and is a Registered Career Consultant, RCC. Prior to becoming FACET’s COO, Darlene served as Senior Vice President of FACET’s Gulf Coast Hub.